Provision, manage and scale compute infrastructure on Microsoft Azure. Microsoft Azure Low-priority VMs are allocated from Microsoft Azure’s excess compute capacity, enabling workloads to run for a reduced cost of up to 85% less. With Low-Priority VMs, Microsoft effectively lets you “borrow” unused capacity for a great price. However, this capacity can be reclaimed at a moment’s notice due to higher priority allocations. This makes Low-Priority VMs a less-than-ideal candidate for production workloads. Elastigroup for Azure changes that. Based on historical and statistical data, Spotinst’s Elastigroup predicts preemptions ahead of time and automatically migrate instances into different machine Types, Zones or fall back to regular priority (on-demand VMs) in order to ensure high availability and consistency. Elastigroup will also make sure that the preemption is done gradually to ensure service uptime. Elastigroup uses cross-organizational data and statistical modeling to forecast preemptions at the Availability Zone (AZ) level, replacing instances before they’re preempted or fall back to regular Priority in order to ensure high availability and consistency. Reliably leverage Low-Priority VMs to drastically reduce your cloud costs without compromising availability. 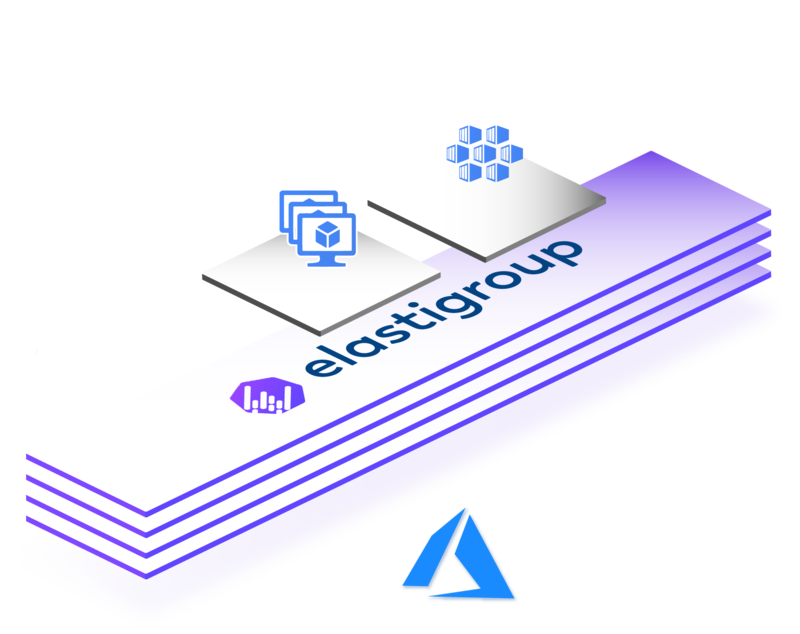 Go beyond cost savings - Elastigroup provides metrics-based and event-driven auto-scaling methods that optimize your applications for both cost and performance. Elastigroup uses predictive algorithms to identify and drain VMs that are about to be preempted. Prior to VM termination, Elastigroup seamlessly launches a new VM to replace it. Elastigroup will also make sure to distribute your VMs across a mix of VM sizes and types to optimize cost reduction and VM longevity. In the event where Low-Priority VMs aren’t available, Elastigroup will fallback to regular VMs and will opportunistically revert back to Low-Priority when possible. Gain deep visibility into the usage, utilization and spend on VMs and containers. The Elastigroup dashboard also features an analysis of potential and actual cost savings based on Low-Priority VM usage. Web Applications and Micro Services that run behind a Load Balancer are perfect candidates to run on Elastigroup. 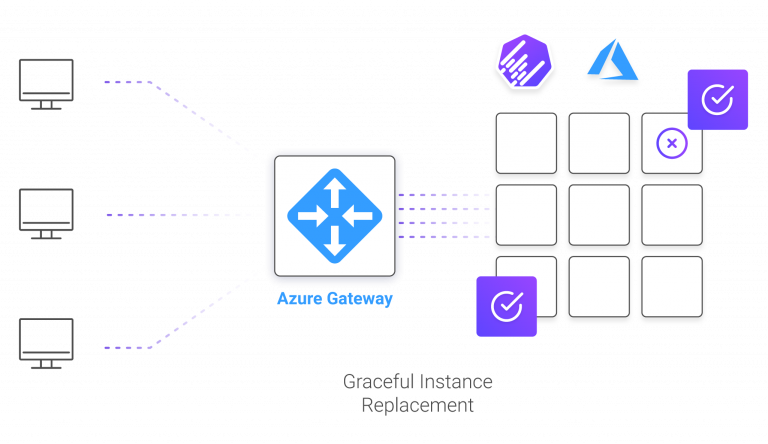 Elastigroups integrates seamlessly with Azure Load Balancer (Layer 7 Application Gateway) to distribute load across VMs efficiently and scale according to load metrics. Elastigroup can also be assigned to multiple Backend Pools, as well as a combination of Backend Pools. Once configured, all VMs launched by Elastigroup will be registered to the select Backend Pools automatically. Elastigroup integrates with AKS with a few simple clicks. 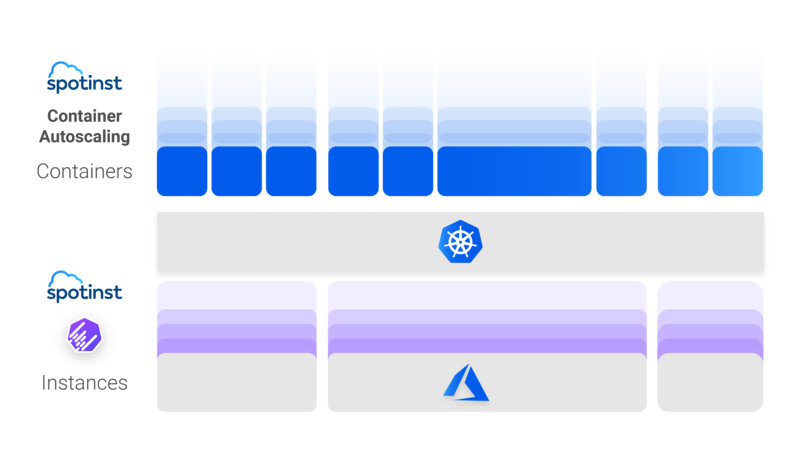 Elastigroup will then intelligently scale the underlying infrastructure to optimize for cost and performance, based on your Pods/Containers needs. Elastigroup uses predictive algorithms and historical data to forecast Low-Priority VM interruption. Elastigroup automates Low-Priority VM replacement and reduces operational overhead and development time.